In presenting its 2018 financial report to analysts yesterday, Airbus announced it would cease deliveries of the A380 in 2021. 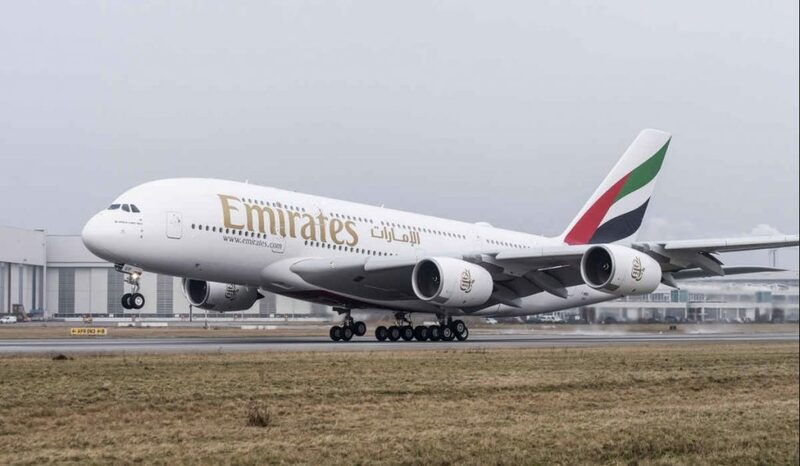 The company explains its key customer for the aircraft, Dubai-based Emirates, has cut back its A380 orderbook by 39 aircraft, with 14 A380s remaining in the backlog yet to be delivered to the airline. Airbus states its decision is a primarily a result of Emirates’ cutback but also the lack of A380 order backlog with other airlines. A report by CNN explains the A380 was developed at a cost of US$25 billion and that Airbus has delivered a total of 234 A380, well below its total production expectations. The A380 took to the skies in 2005. The decision to cut the A380 could affect as many as 3,500 jobs at Airbus over the next three years, according to CNN, but during its conference call with analysts Airbus noted it expects a lot of internal movement into other continuing commercial aircraft programs. Airbus currently has a total order backlog of around 7,600 aircraft. This backlog includes 480 A220s, with that aircraft program being consolidated into Airbus as of July 1, 2018. Net profit for Airbus in 2018 increased by 30 per cent over the previous year to €3.1 billion ($4.7 billion) and consolidated revenues increased to €63.7 billion ($95.8 billion) from €59.0 billion ($88.7 billion) in 2017, reflecting what the company describes as a record number of commercial aircraft deliveries. During the conference call, Airbus also noted it expects to deliver up to 890 commercial aircraft during 2019. “In sum, Airbus [commercial aircraft] stands on a solid growth trajectory and our helicopter, defence and space businesses are also in good shape as the new management team under my successor Guillaume Faury gets ready to take over,” said Enders. Faury is expected to be confirmed as the company’s new CEO in mid-April during its annual general meeting. At Airbus in 2018, a total of 800 commercial aircraft were delivered (2017: 718 aircraft), comprising 20 A220s, 626 A320 Family, 49 A330s, 93 A350s and 12 A380s. Airbus Helicopters delivered 356 units (2017: 409 units). Net commercial aircraft orders for 2018 totalled 747, down from 1,109 aircraft in 2017, including 40 A350 XWBs, 27 A330s and 135 A220s. Net helicopter orders for Airbus increased to 381 units, up from 335 units in 2017, with a book-to-bill ratio above 1 in terms of both value and units. Order intake included 15 H160 and 29 NH90 helicopters. Airbus Defence and Space’s 2018 order intake of around €8.4 billion ($12.6 billion) included the Eurofighter for Qatar, four A330 MRTT tanker aircraft and two new generation telecommunication satellites.